The HotRox Double-Sided Electronic Handwarmer with Power Bank Function provides a safe, easy and effective way to keep your hands warm when working outdoors in cold weather or in a cold environment. This double-sided heating device sits comfortably in the palm of your hand and provides 3 - 6 hours of continuous heat (depending on the setting that you choose) to keep your hands comfortable and functional. Thanks to its compact size, this rechargeable heating device will fit in your pocket or even a small purse, so you never have to suffer cold hands again. The HotRox Double has been designed to provide almost instantaneous heat to warm cold holds quickly. Simply turn the device on and enjoy soothing heat within 15 seconds. The device automatically heats to 45°C (and will hold charge for 6 hours on this setting), but can be turned up to 50°C for 3 hours of more intense heat, if you so desire. The HotRox Double-Sided Electronic Handwarmer features two advanced friction heat plates that provide all-round heat. 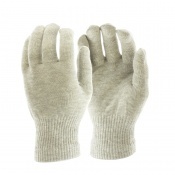 This makes the HotRox Double more effective than similar, single-plated handwarmers. The HotRox Electronic Handwarmer is ergonomically designed with a smooth surface to ensure that it sits comfortably in the palm of your hand and does not cause fatigue. The device is solid enough that it is easy to grip, but still lightweight for effortless use. 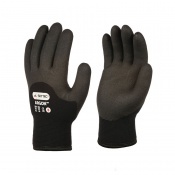 Providing consistent heat and comfortable to hold, the HotRox Double is ideal for use during a wide range of tasks. 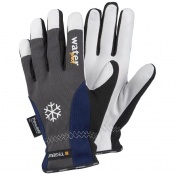 It can be used to warm cold hands after cold handling applications, while you're working in the warehouse, in the field, on the construction site or on the fishing boat, or to heat up your hands during your lunch break. The HotRox Double can be recharged using either a mains USB charger, or through another device via USB cable for greater convenience. Charging typically takes 2 - 4 hours, depending on the charging method used. 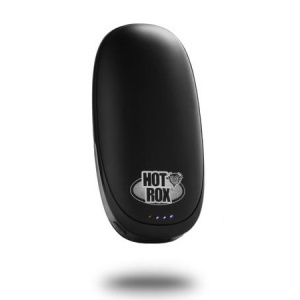 The HotRox Double-Sided Electronic Handwarmer not only keeps your hands toasty warm on the go, but can also be used to charge your mobile devices whenever and wherever needed. When fully-charged, the Double-Sided Handwarmer provides two full charges to all USB smartphones, and can be used to charge most devices that use a 5V USB charger, including torches, cameras, satellite navigation systems and range finders.